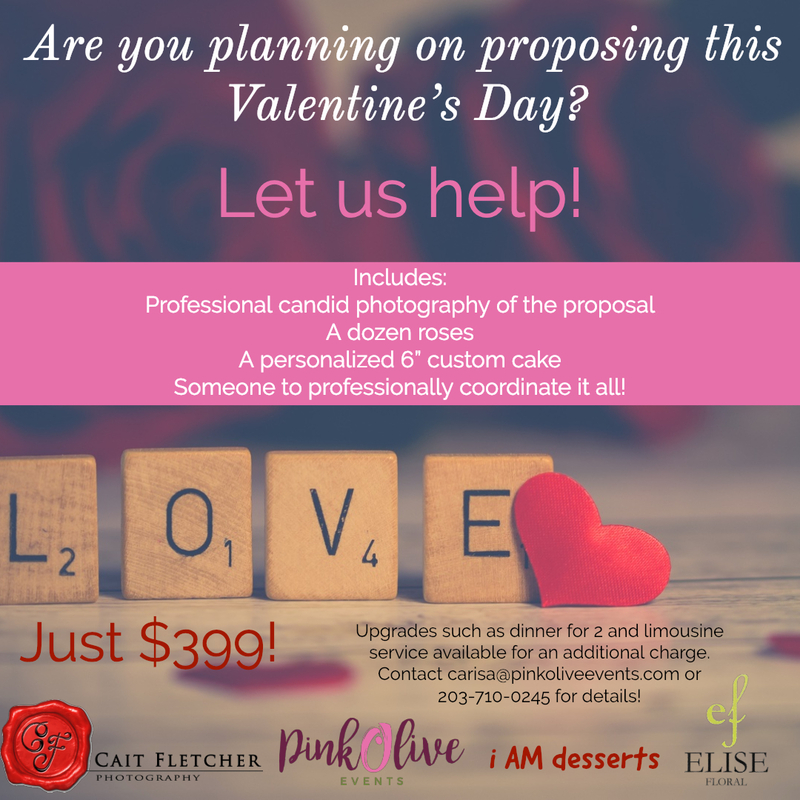 Do you know someone who is planning getting engaged by or on Valentine's Day? We want to help make it extra special, so we've teamed up with some great wedding professionals for an amazing package deal! Elise Floral will provide a dozen roses. I Am Desserts will provide a custom personalized cake. Cait Fletcher Photography will capture the special moment in a candid photo shoot that you'll have forever. Pink Olive Events will coordinate it all! Let us plan the perfect place and date for you to pop the question. We'll even bring the flowers and cake to you! Couldn't be easier! We can also offer you an upgrade, such as a romantic dinner for 2 after she says yes and even a limo service! Want something else that I didn't mention? No problem, just ask! Contact me at carisa@pinkoliveevents.com or 203-710-0245.